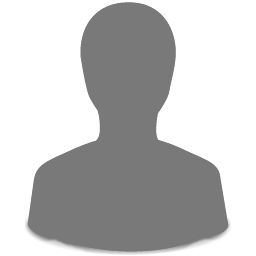 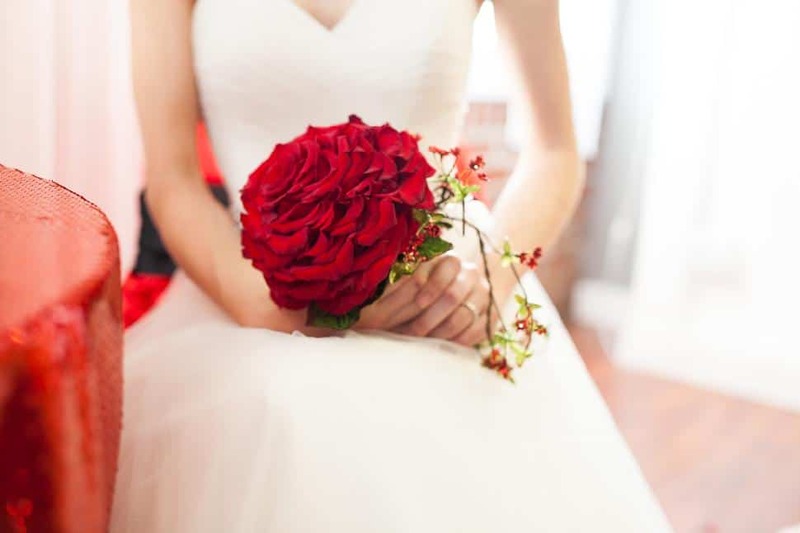 A long-time editor at Canada Wide Media, Kim has covered almost every topic under the sun, from entertainment and travel to cooking and gardening. 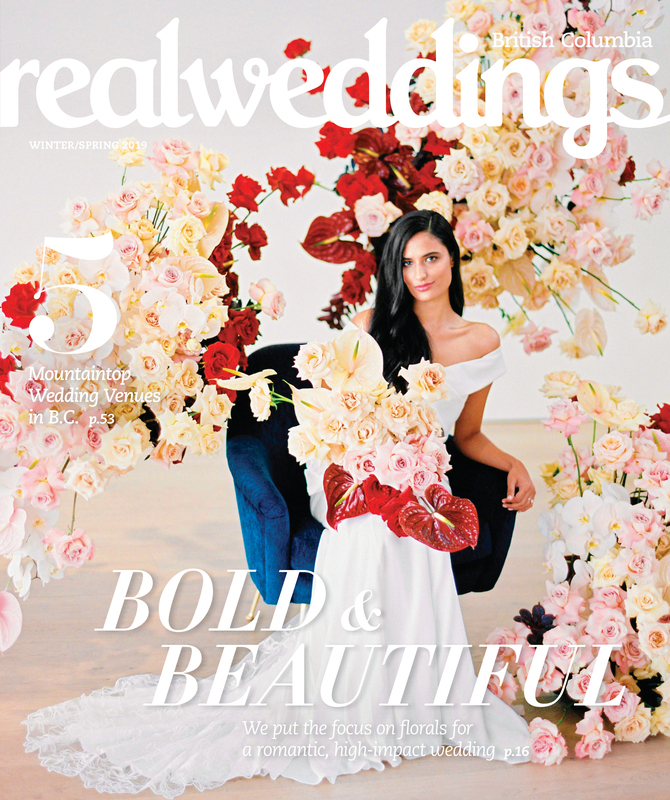 She now spends her days following all things bridal and indulging her taste for pretty pictures as editor of Real Weddings. 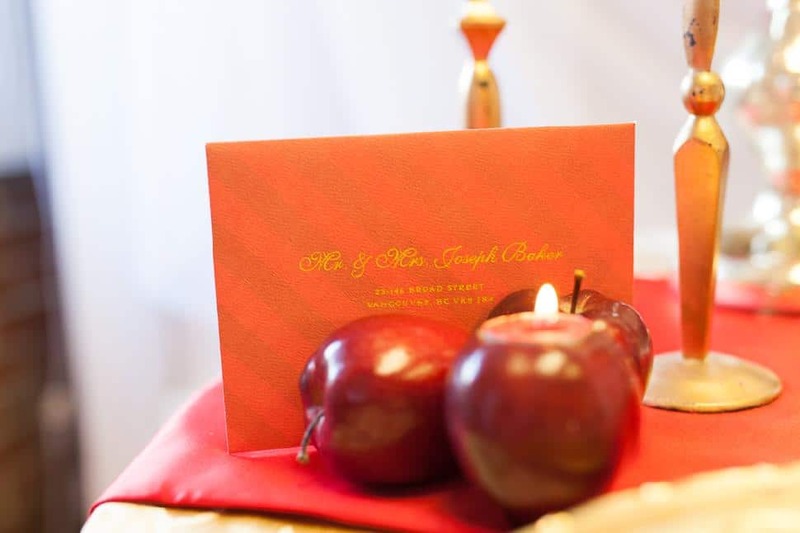 Who doesn’t love the story of Snow White? 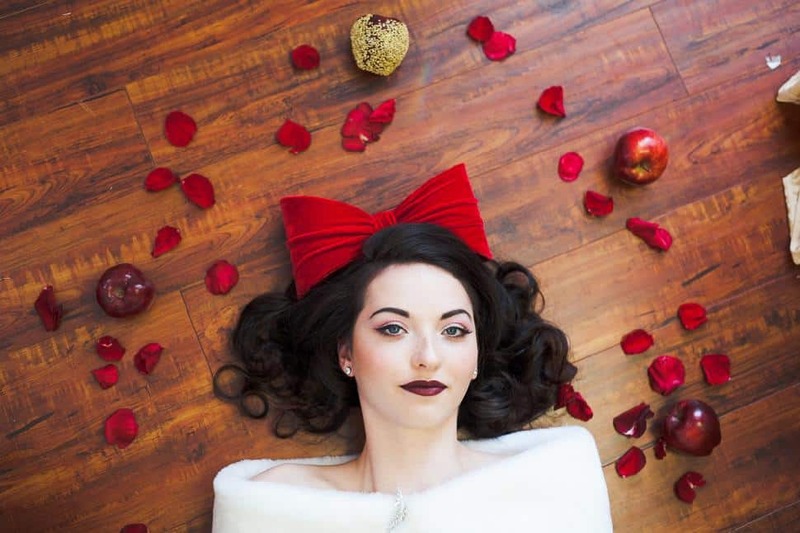 Of all the beloved fairy tales, it brings to mind beautiful images of snowy skin and red lips, sparkling mirrors and shiny red apples. 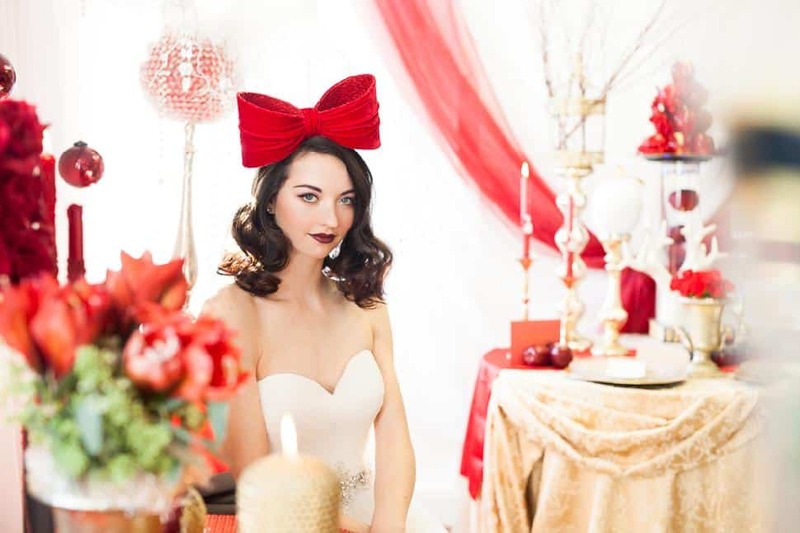 Not surprisingly, when Eva Satchell of Victoria wedding planners Beauty Bride sought out inspiration for a new styled photo shoot, Snow White sprang to mind. 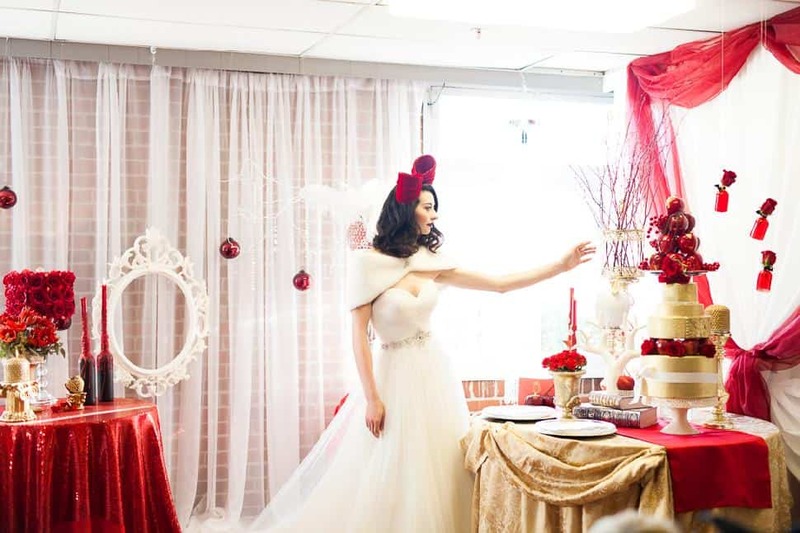 Pulling in vendors from in and around Victoria to bring a creative modern edge to the classic fairy tale theme, Beauty Bride designed and created the look and staging down to the décor and colours that burst in these photographs. 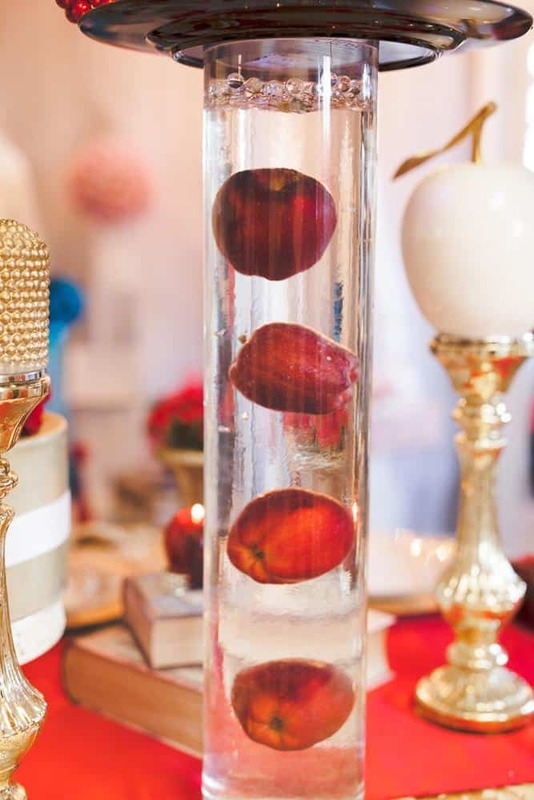 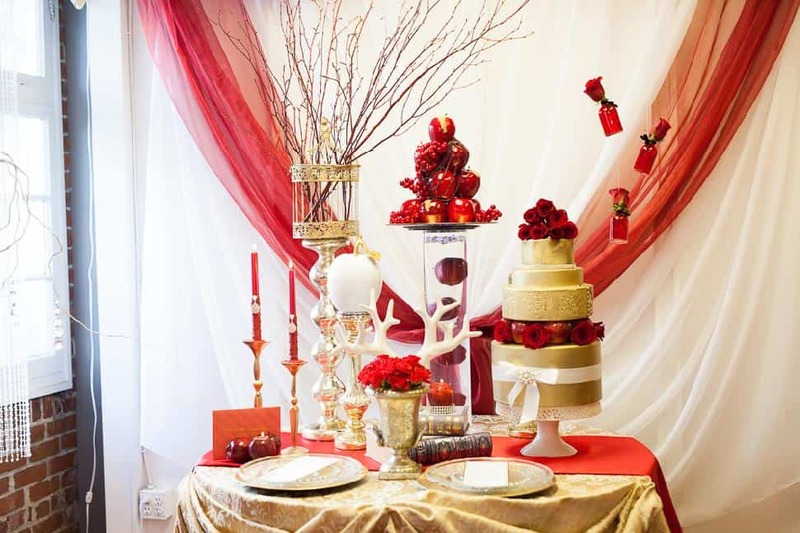 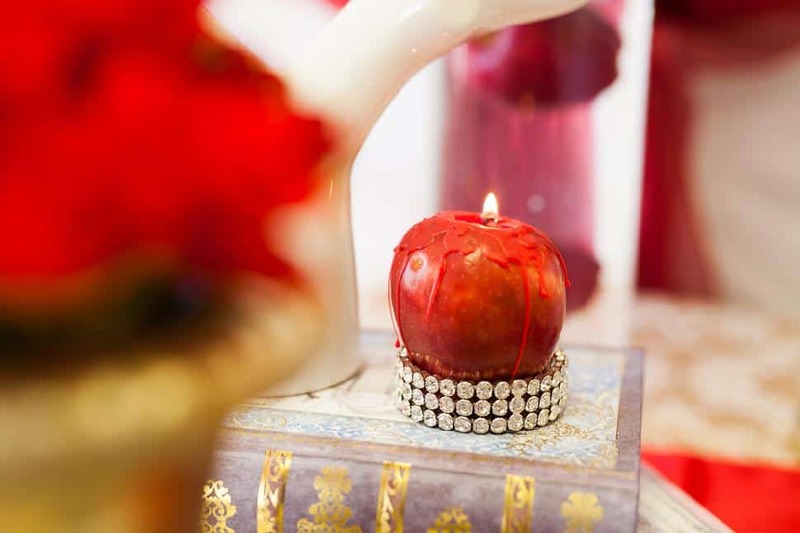 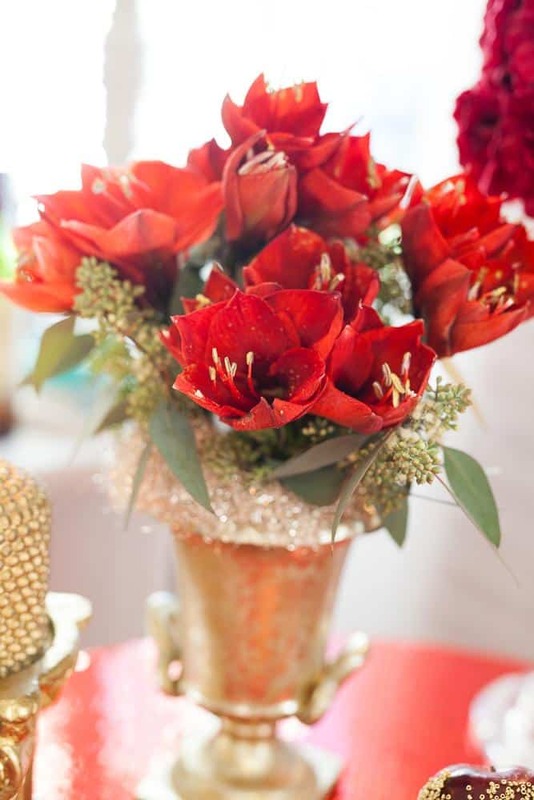 Some of the special touches include vases suspended from the ceiling, candles dipped in sparkle, and red apples submersed in water beads to create a magical floating centrepiece. 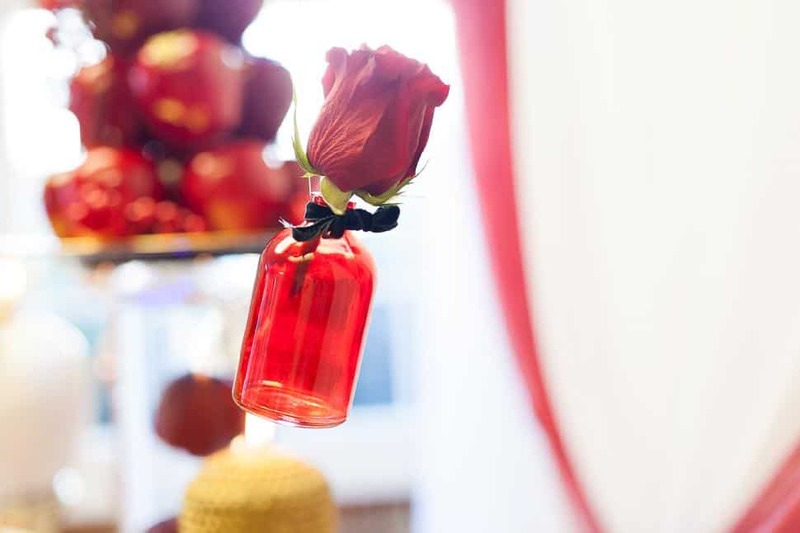 Every vendor was given the opportunity to create their own masterpiece to fit within the Snow White theme. 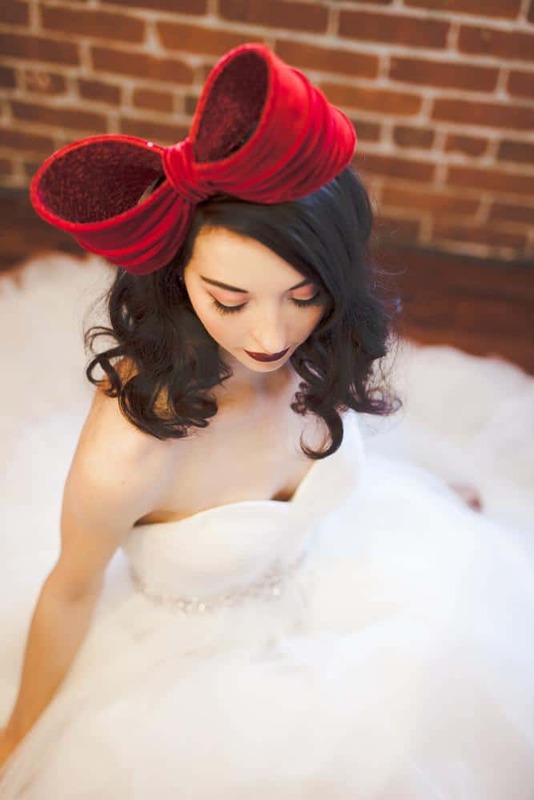 Flower designer Fleurtacious by Lynda Marie made a bouquet wiring each petal to create one gigantic rose, as well as the oversized modern bow on our model – whose flawless, pure look was provided by Erin Bradley Hair & Makeup. 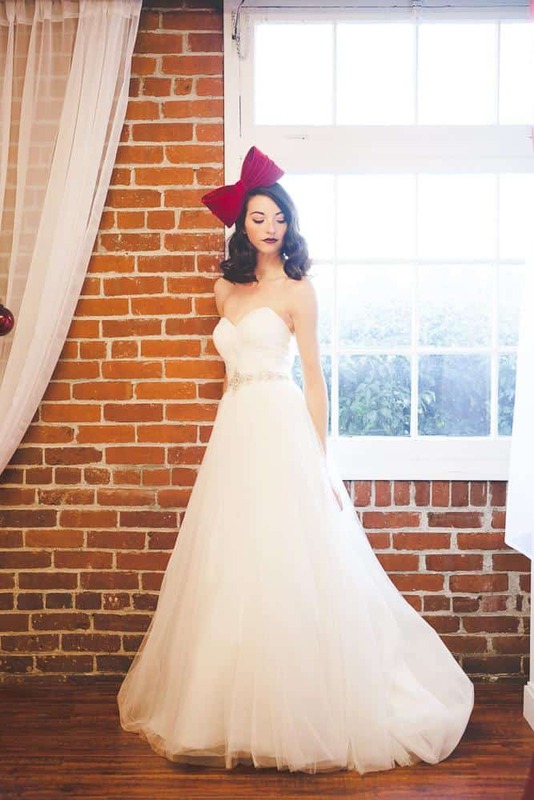 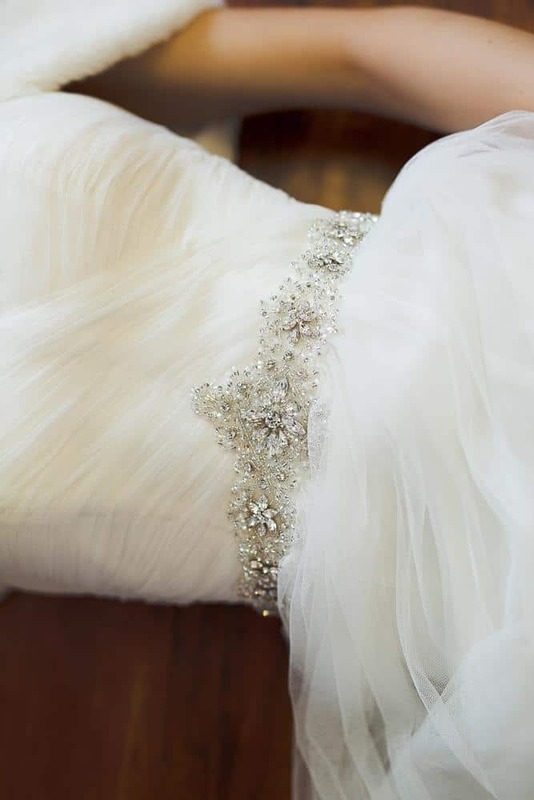 Finishing off the Snow White look is a lightweight princess-cut Ella Rosa gown from Victoria Bridal Boutique, which flows magically. 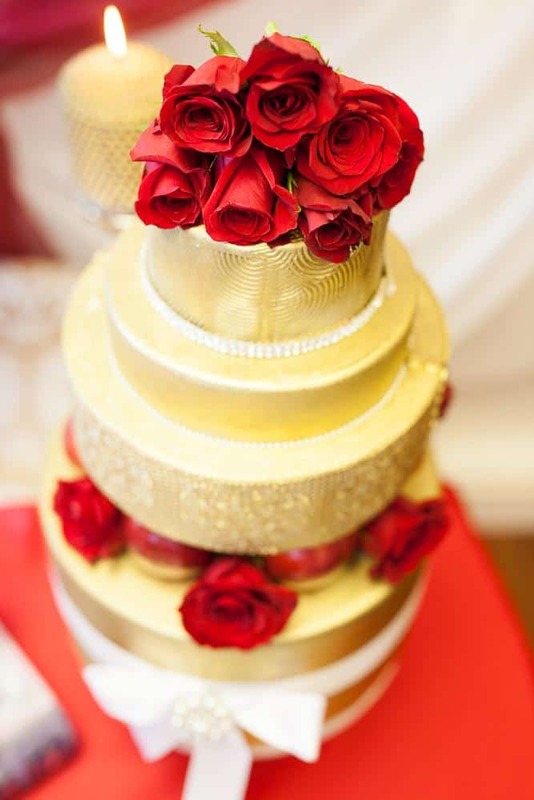 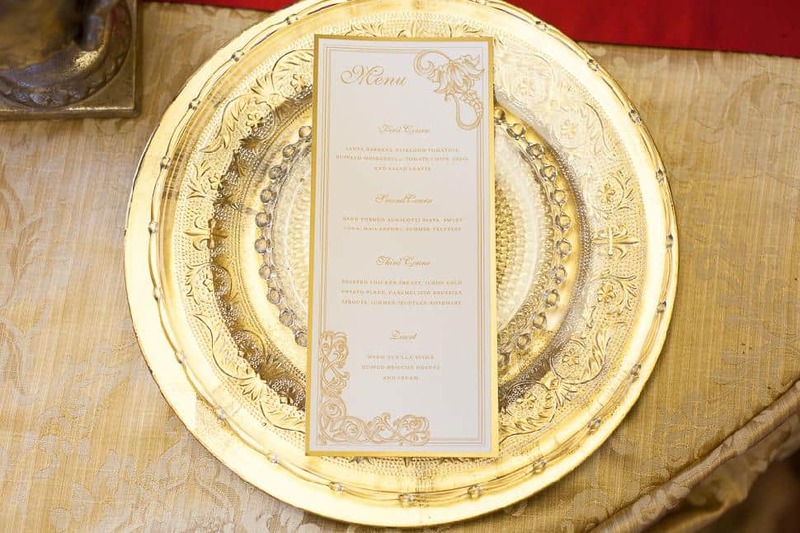 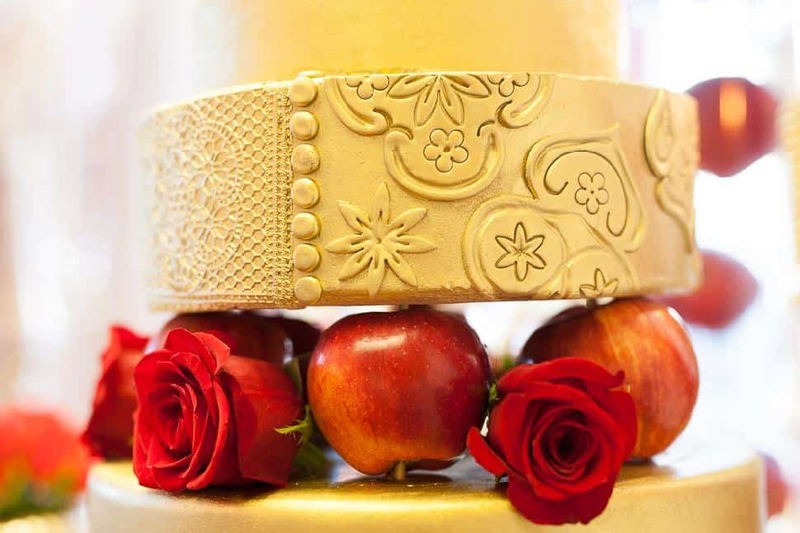 Not to be outdone, Passion for Cakes designed a four-tier gold-laced cake using real apples and roses to really rock the theme, while Tuktu Paper created elegant modern invites and menus that brought the place settings to life. 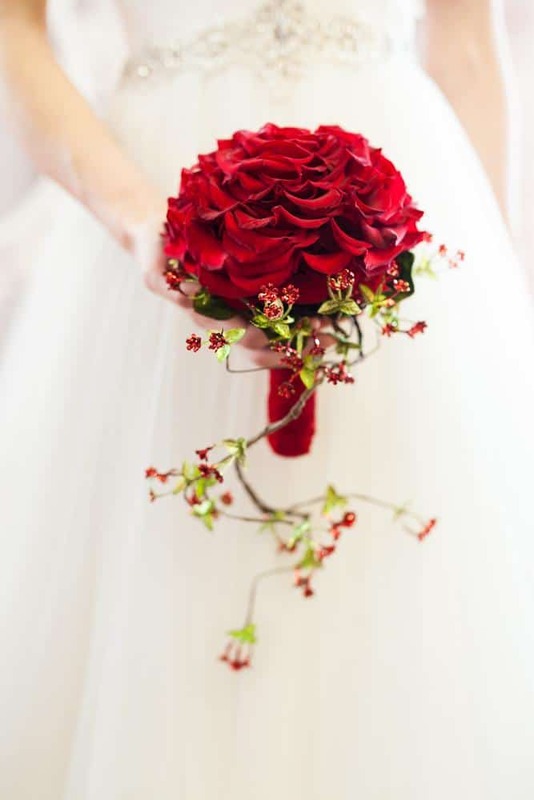 And finally, Lilly Ann Photography captured every detail to produce an inspiring photo series designed to inspire anyone considering bold colours for their wedding. 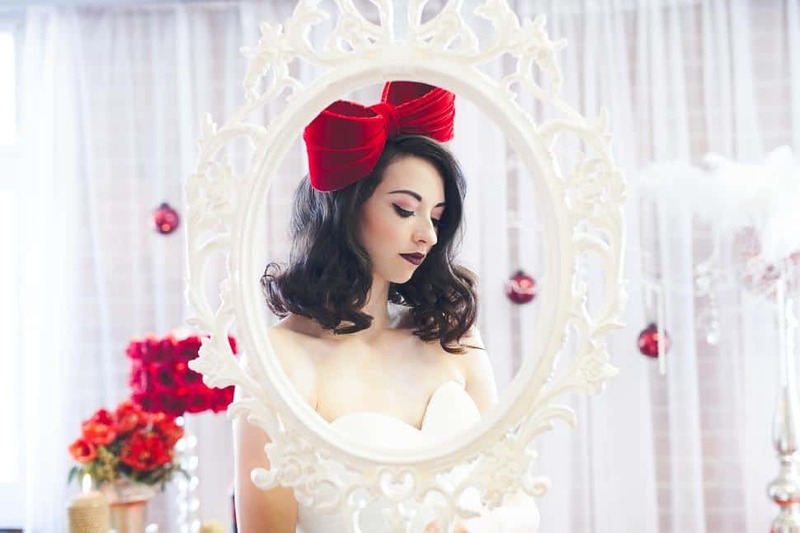 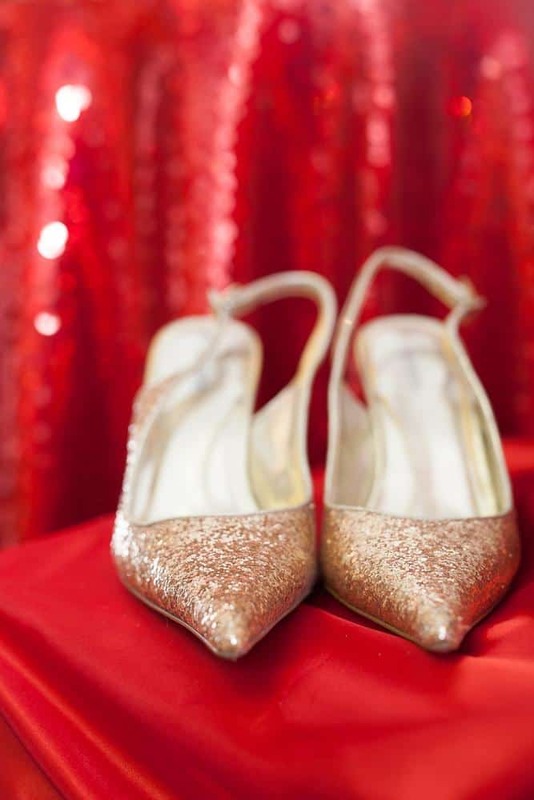 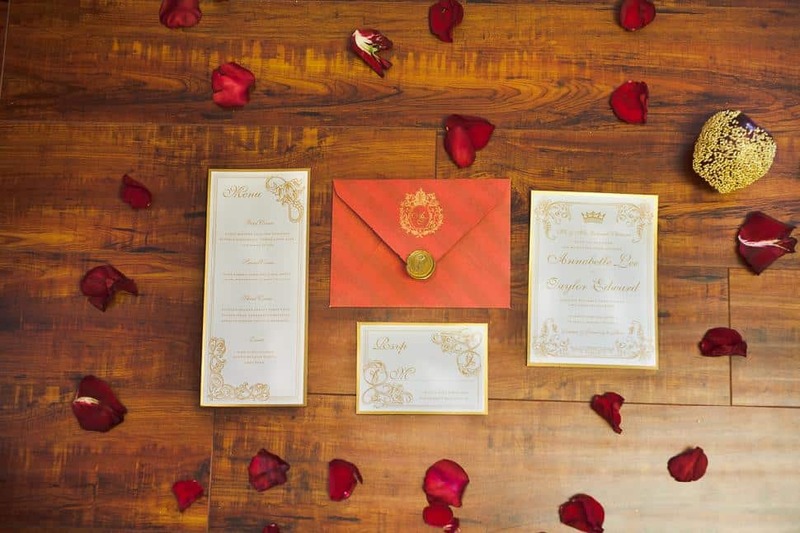 The photos are also a lovely reminder that even an age-old tale like Snow White can inspire a new and modern wedding theme.